If dressing freaky, riding bikes, listening to bands and drinking beer are things you like, then don’t miss the most FUN fundraiser around…Tour de Fat is coming back to town! New Belgium Brewing, the Fort Collins, CO based maker of Fat Tire Amber Ale and other award-winning beers, is bringing the 14th annual Tour de Fat to San Diego on Saturday, September 28 in Balboa Park. Gather up your friends, family and neighbors and come enjoy eclectic entertainment and stellar beer, all while helping raise funds for local bicycle nonprofits San Diego County Bicycle Coalition & San Diego Mountain Biking Association. The event is free, yet all proceeds from beer and merchandise sales and donations from parade participants will help make San Diego a better place to ride a bike. Last year, approximately 3,500 people came to the festival and raised nearly $30,000 for local nonprofits. 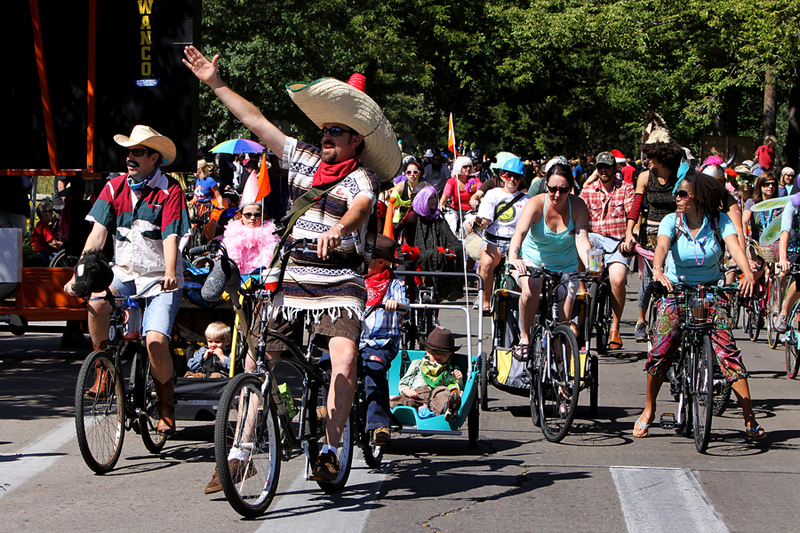 To properly kick-start the festival, Tour de Fat begins with a giant bicycle parade that weaves through city streets. Each parade route is designed for people of all skill levels - everyone is welcome and colorful costumes are encouraged. For the rest of the afternoon, the stages heat up with world-class acts like Reggie Watts and He’s My Brother She’s My Sister and the park becomes a celebration unlike any other. 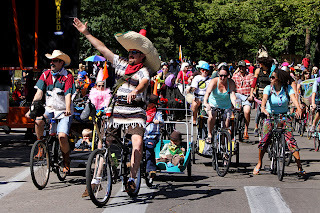 Kids of all ages can ride funky bikes, eat delicious fare, relax in the grass, and participate in games and activities such as a “Thousand Person Dance Contest”, which will determine the winner of a 2013 New Belgium Cruiser Bike. Everyone 21 and older can sample new and classic favorites from New Belgium, including the brewery’s flagship brew, Fat Tire, this summer’s seasonal, Rolle Bolle, and selections from the acclaimed Lips of Faith series. In every Tour de Fat city, one brave role model will step on stage to trade in his or her car keys and pledge to live car-free for one year. Each swapper is awarded a $2,250 stipend to buy their own commuter bike and receives rock star status when the crowd goes wild in support of their commitment. We’re now on the hunt for a swapper in San Diego! Car-for-Bike Swappers are chosen after submitting an application describing why they are ready to give up their vehicle for the gift of two wheels. To apply, visit www.newbelgium.com/tour-de-fat. 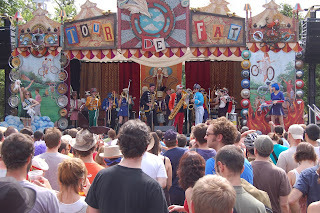 Tour de Fat seeks to leave as small an environmental imprint as possible. New Belgium partners with Zero Waste San Diego and recycOil to use biofuels from recycled cooking oil to power the festival’s transportation, stages, sound, food trucks and more. 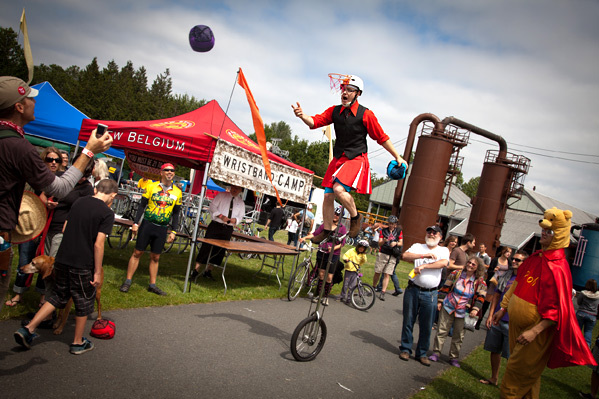 The stage is decked out in recycled materials; attendees are encouraged to ride bikes or carpool; and recycle and compost receptacles are available throughout to help divert waste from landfills. 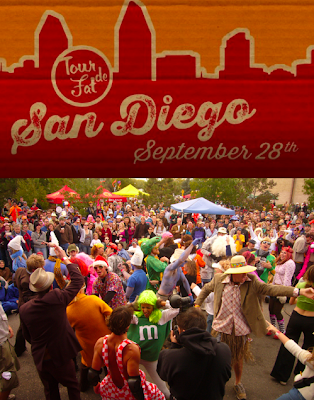 Don't miss Tour de Fat on Saturday, September 28 at Balboa Park at Golden Hill Park. Parade registration starts at 10:00 a.m., with ride times taking place from 11:00 a.m. - 12:00 p.m. Entertainment and revivalation follows from 12:00 p.m. - 5:00 p.m. Admission to the event is free although a $5 (or more) suggested donation is asked for parade participants. Beer is $5 for a 16 oz. pour. For more information, visit the website and Facebook event page, and check out the video below to see what to expect.